Introducing our newest team member, Lodgepole Pine #34759! 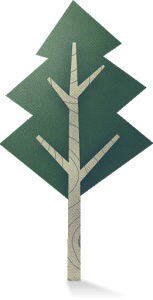 This virtual tree represents a tree already growing in Peace River, AB and is part of a forest we are building to replenish what we use in paper… and then some! We have partnered with The Carbon Farmer, and together we are growing forests and creating homes for local wildlife. Our virtual forest is still kind of small, but that will soon change as we give our clients virtual trees of their own to plant on their anniversary with us; new clients will receive a tree when they sign up. We hope our forest grows and reminds clients that working with us not only builds their business, but cares for the environment at the same time. Give us a call if you want to know when your anniversary is or if you’re ready to start your print marketing and grow a forest.